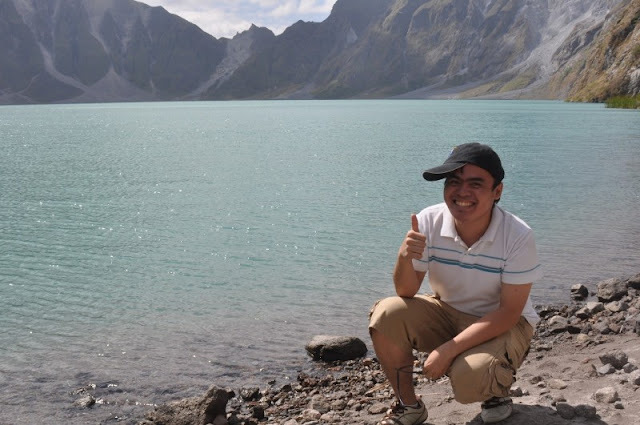 I just got home a few hours ago from a day trip to Mount Pinatubo. It was a long and tiring trip which includes a couple of hours drive from Manila, an hour ride in a 4x4 and another hour hike going up the mountain and down inside the crater - multiply all these by two to include the trip going back. fun trademark pose, jj! (^__^) i've never been to pinatubo. it looks cool, noh? A Blessed and Prosperous New Year to you and your family.